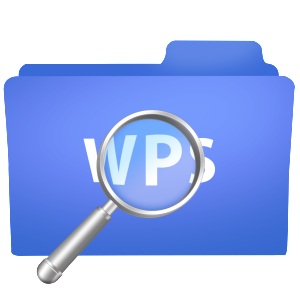 WPS Viewer: A very simple and intuitive application to read WPS(Microsoft Works Word Processor Document, *.wps, *wtf, *.wpt) documents on the Mac OS. WPS Viewer offers you the fantastic reading experience using Display Mode, Tool Mode, Full Screen View, Page Thumbnail, Searching Pane,Viewing Scale, Reading History, Page Rotation, Print and Bookmark Management. The application can also export WPS document into PDF, RTFD, RTF, TXT or Images(such as PNG, JPEG, JPEG2000, TIFF, Multi-Page TIFF, BMP, GIF), and extract Images (such as PNG, JPEG, JPEG2000, TIFF, BMP, GIF) from WPS document. This is a Free Version application. The Free Version can only read the first half part of document. If WPS Viewer is satisfied you, you can get Full Version from menu "Help -> Get Full Version” through In-App Purchase. The Full Version get all the features with no limitations. Also you can buy WPS Viewer FS directly which is the same as Full Version WPS Viewer. You can refer User Manual from menu "Help -> WPS Viewer Help” for any assistance or contact support.